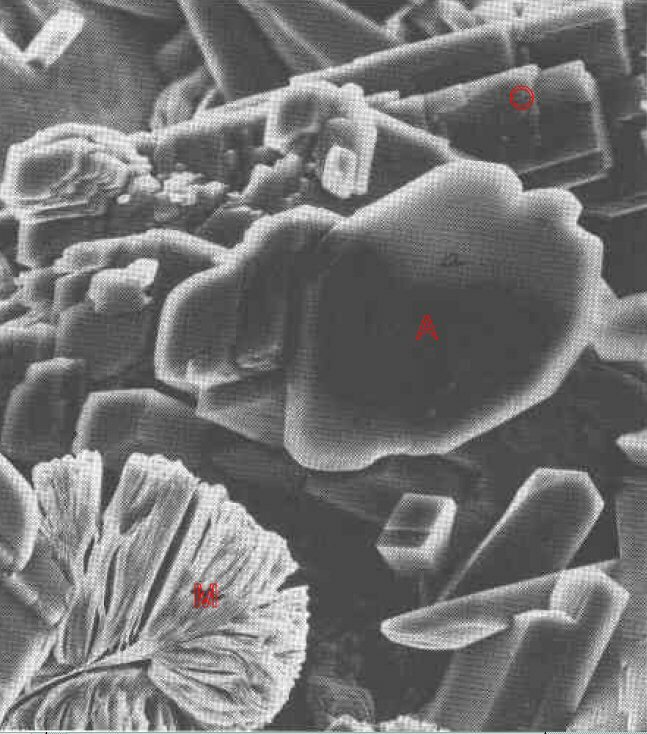 Comments: Abelsonite (A) grain associated with authigenitc orthoclase (O) and a micaceous mineral (M). (AmMin, v63:930). Location: Wosco sample (Sec 36 T9S R20E) (Depth 2508.2 - 2508.15). Drill cores in or near the Mahogany Zone oil shale of the Green River Formation in Uintah County, Utah, USA.